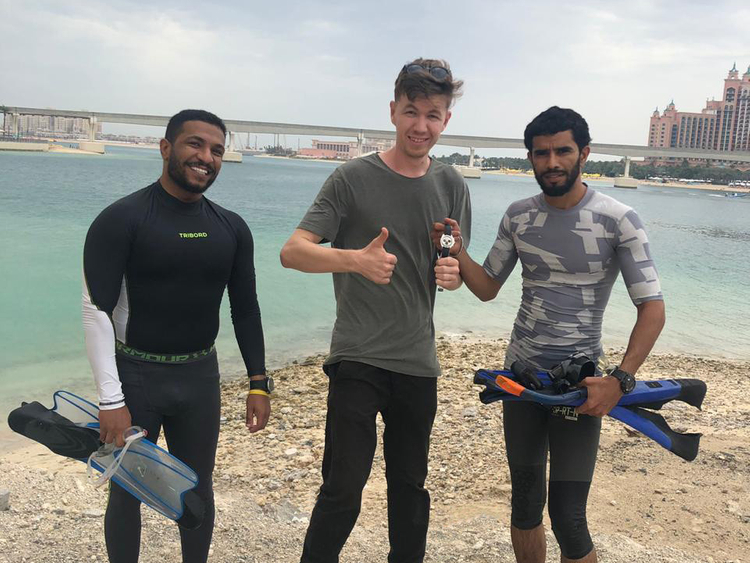 Dubai: A Dubai tourist who lost his expensive watch in the sea couldn’t believe his eyes when police divers recovered it over the weekend, according to an official. The tourist was having lunch at a restaurant on Palm Jumeirah overlooking the sea on Friday April 12 when his watch fell into the water below. Lieutenant Colonel Abdullah Al Naqbi, director of the Sea Rescue Department of Dubai Police, said that the tourist called police asking for help. “The tourist said that it was an expensive watch and he needed our help,” said Al Naqbi. “Divers went to Palm Jumeirah and identified the watch’s location in record time,” he added. The tourist thanked Dubai Police for their quick response and for dealing seriously with his request.